Tesla Autopilot miles have been soaring as the company has scored insane sales growth in recent quarters. None of those Autopilot miles have been fully autonomous, of course. However, what many Tesla enthusiasts have learned — yet much of the market seems to discount or not know at all — is that Tesla vehicles with Autopilot hardware (which is all new Teslas in recent years) are learning with every tire rotation. The ones with the software enabled must be a learning a bit more, since they are processing how Autopilot thinks it should drive and where and how drivers occasionally correct it, but I’m sure the vehicles with Autopilot latent are still gathering important data. It is the deep learning aspect of Tesla vehicles that makes Tesla’s move toward autonomy seem so formidable. Sure, Waymo uses deep learning as well and has a compelling approach to autonomy that is moving forward and even, within the limits the technology can operate, trialling full self-driving without a human technician onboard. But Waymo’s system is built around limited geographical areas, a very limited vehicle fleet, and more limited learning. Tesla has a fleet of hundreds of thousands that is growing by ~90,000 vehicles per quarter at the moment and is not built around a dependency on super precise maps. As Mike Barnard, using his robotics background, explained extremely well in 2015 (republished recently) and Paul Fosse put into other words two months ago, Tesla’s Autopilot software is a deep learning animal. Tesla Autopilot, like a young human with a voracious appetite for improvement, is getting closer and closer to some human-level driving abilities every day while already having superhuman abilities in vision, data processing, and attention span. With all of that in mind, the below update from Lex Fridman of MIT is all the more exciting. We have a Tesla Model S with Autopilot 1 hardware. Admittedly, I haven’t driven it in many months and there have been some software updates related to Autopilot since I have used it (it’s in our Tesla Shuttle fleet in Europe), but either way, I was struck by how much better Autopilot was in the first Tesla Model 3 I drove last year. I was again struck by how much it had improved months later in another Model 3 test drive. 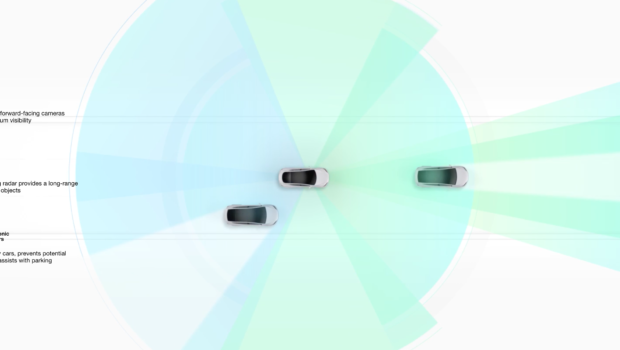 The technology is improving continuously, and with big step changes improvements supposed to roll out in coming months, I can hardly fathom where Tesla Autopilot will be in a year or two. Well, actually, I can fathom it. I expect the cars will be capable of driving me from point to point without making me sweat for a second. And perhaps then charging itself with a robotic snake charger. Technically, according to Elon Musk in 2016, Autopilot may now be out of beta mode. Though, that’s not guaranteed. 1 billion miles was considered a minimum amount of experience for the tech, but I’m not sure what other parameters graduate Autopilot from beta mode. Perhaps it is when Tesla feels comfortable releasing Full Self Driving capability to the public? f you would like to buy a Tesla and want the benefits that come with a referral, feel free to use my referral code — http://ts.la/tomasz7234. Or not.